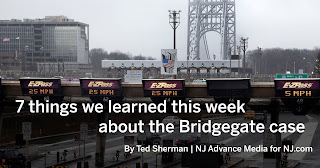 Star-Ledger reporter Ted Sherman, found a new way to report the seemingly never-ending Bridgegate story today. 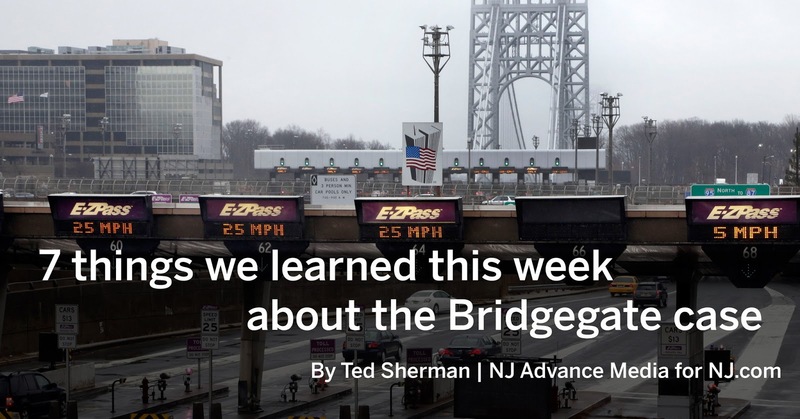 He delivered 7 things we learned this week about the Bridgegate case in 16 photos and captions. It reminds us of the photo spreads in New York Daily News, the New York Post and the old New York Mirror but updated for the digital age. And we marvel at how much can be said in successive captions when they're organized around a single theme.